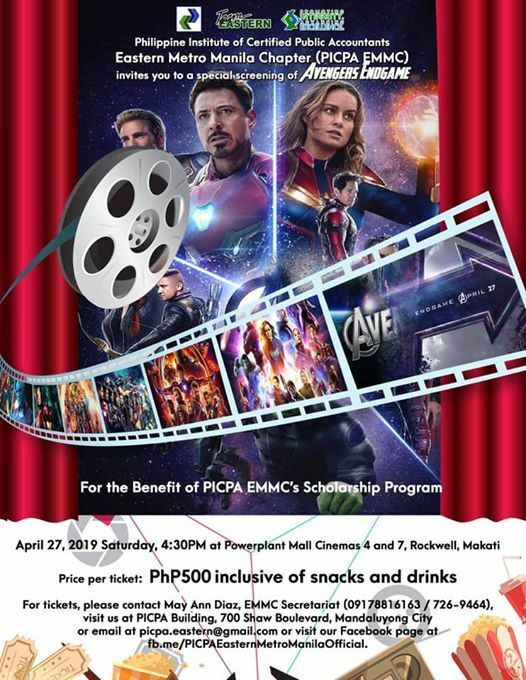 PICPA Eastern Metro Manila Chapter cordially invites everyone to its special movie screening of the AVENGERS ENDGAME on April 27, 2019 (movie starts at 430pm) at Powerplant Mall Cinemas 4 and 7, Rockwell, Makati. 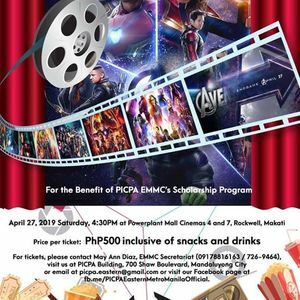 For tickets, please contact May Ann Diaz, EMMC secretariat, at (02) 726 9464 and +63 917 881 6163. 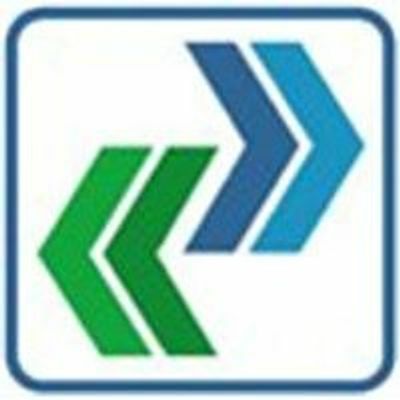 You may also email her at cGljcGEgISBlYXN0ZXJuIHwgZ21haWwgISBjb20= or visit us at PICPA MMR Office, PICPA House at 700 Shaw Blvd., Mandaluyong City.